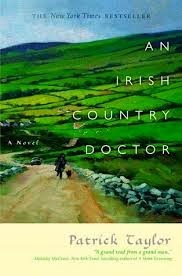 A nice read about a young Irish doctor, Barry Laverty, who travels to the small village of Ballybucklebo to apprentice under an old curmudgeon of a doctor, Dr. Fingal Flahertie O’Reilly. O’Reilly’s brash manner and unorthodox medical treatments at first unsettle the young doctor, but as he realizes the care and the shrewd understanding that O’Reilly has for the villagers, he begins to see medicine not only as a science to treat the body, but as a philosophy to cure the soul. While I enjoyed many of the situations in the novel, it didn’t completely enrapture me. The characters were lively and interesting but somehow they never touched my heart. At times, the author appeared to manhandle them in a certain way to enhance a laugh or situation, which took away from their natural development. This book reminded me of the TV series, Doctor Finlay (based on the books by A.J. Cronin) which follows the life and cases of a doctor in post-WWII Scotland, although it lacks some of the warmth of the characters in the show. All in all, this was a satisfactory light read and it was nice to escape from the city, and into the wild simplicity of Ballybucklebo. There’s not much I can say about this one. The Kellermans are my brain candy that I indulge in about once per year. The writing isn’t stellar and the plots are formulaic but I’ve been reading them long enough to get interested in the characters and, since they are readable in less than 24 hours, they don’t cramp my classical style! The content, however, is not something that I would want to expose myself to on a regular basis. I enjoy the addition of their foster son, Gabe, to the Decker/Lazarus household. 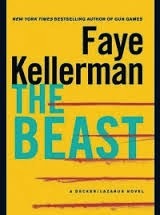 The Beast is a better-than-average book in the series.